When it comes to proposals, we love a little (read: a lot of) personalization. From the way you choose to pop the question to the setting you select for the big moment, there’s nothing better than an engagement that’s built around your unique love story. When it comes to personalized proposals nothing says “This one’s for you” quite like a custom-designed engagement ring. Today, then, we’re talking how to design a custom engagement ring. Read on for our top tips for making your partner’s dream-ring a stunning, sparkling reality. What’s your future fiance’s style? Designing an engagement ring from scratch allows you the unique opportunity to ensure every single element is exactly what your partner would want. Make sure you’re familiar with her or his aesthetic preferences—including desired metal, stone, and cut—before you start designing. Collect inspiration. Start by collecting some design inspiration to help guide you once you begin the design process. 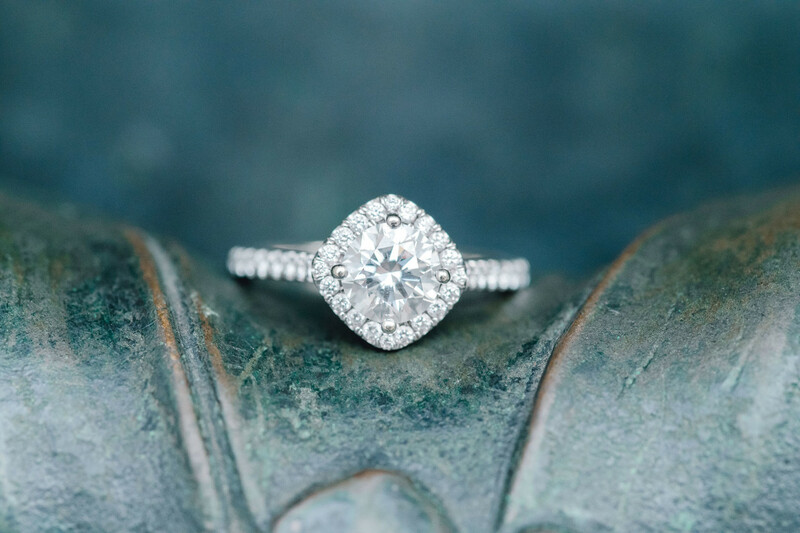 Collect images, check out Blue Nile’s top engagement rings, save Instagram posts, and take screenshots of rings you know your future fiance likes. (PRO TIP: file your inspiration images away in a Google Drive or iCloud folder your partner won’t see if you’re planning a surprise proposal.) Be sure you have inspiration for your partner’s desired cut and metal, as well as the overall style (vintage, modern, streamlined, etc.) of the ring itself. Having some solid inspiration to work from will help you easily find and/or clearly articulate the finer details you want to see in your custom design. Do your research. Do your research to find a jeweler who will be the best fit to create your custom design—whether that’s a local store or an online retailer. Read reviews, talk to engaged friends, and—yes—stalk Instagram accounts like The Knot Rings. An engagement ring (especially a custom one) is an investment—make sure you’re armed with research before you commit to a design you can’t return. Take your search online. 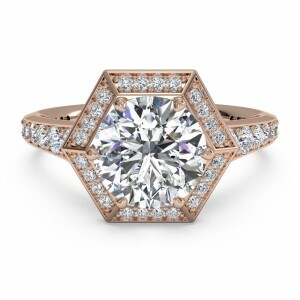 When it comes to designing a custom engagement ring, the magic of the digital world is your best friend. Building an engagement ring online allows you to get a solid idea of what you can build for your budget, and how different selections affect both the look and price of your custom engagement ring—all in real time. 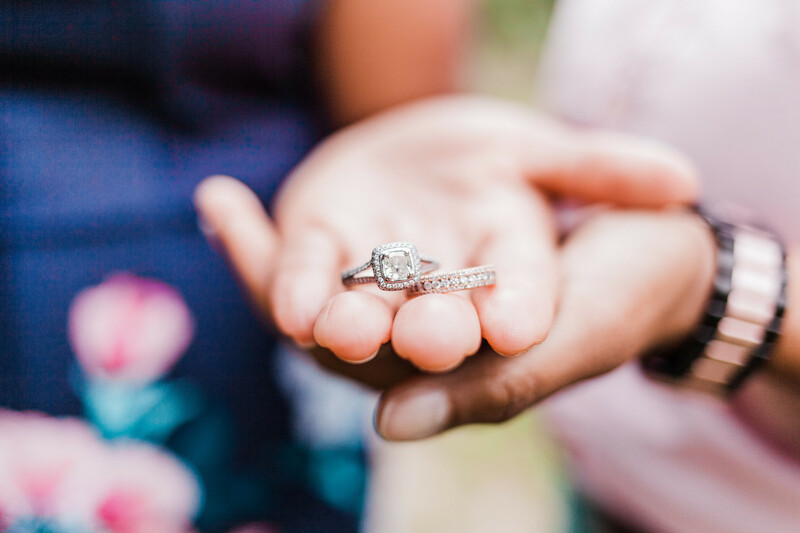 Sites like Blue Nile allow you to build your own engagement ring in a matter of minutes—and we especially love that you you can either start by selecting a diamond or start by selecting a setting. Talk it out. If you’re going with an in-person jeweler, be sure you schedule a meeting to talk through the details and logistics of making your custom ring a reality. While you’ll obviously want to talk through price and lead-time, you may also want to find out about stone source and/or ethical sourcing options if that’s a consideration for you and your partner. 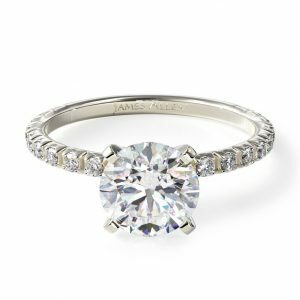 Still need to nail down an engagement ring style before you dive into the custom-design process? 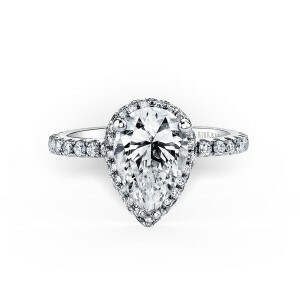 Browse Blue Nile’s top 20 engagement rings.